All delivery dates are estimated, we cannot guarantee that there will not be delays beyond our control. Do not schedule an installation before your order arrives. If you need a guaranteed date of delivery, please let us know so we can make arrangements for you (additional fees will apply).There is no delivery on weekends and holidays. Freight deliveries are curb side delivery. Your skid will be dropped off in your driveway. You will need to make arrangements to bring the flooring inside your home. It is very important to provide us with your best contact number, so we or the freight company can reach you during the day – usually, a cell phone number is the best option. This will assure speedy communication, and a fast delivery. Most of our orders are shipped out within 1- 5 business days after the payment is received, with the estimated transit time ranging from 1- 10 business days. We ship LTL orders (skids) with the most reputable national carriers like Fedex Freight, USF Holland, R&L, Estes and others. Smaller orders we ship with UPS, Fedex or the Postal Service. Orders provided with different billing and shipping address may require additional verification before shipping. If you order moldings with your flooring, moldings will ship separate via FedEx. If your flooring or underlayment needed to be sourced from another site, the underlayment may also ship separately. Right after shipment, we will email you a confirmation with the name of the freight carrier as well as a tracking number and a website where you can track your order. When your order/materials arrive at the local freight terminal, a freight company representative will contact you to schedule a day and time of delivery. You can also contact the freight carrier to arrange a delivery (use the carrier name and your tracking number we provided you in our shipping confirmation). We are asking to provide us with your best contact number, so we or the freight company can reach you during the day– usually, a cell phone number is the best option. This will assure speedy communication, and a fast delivery. All residential delivery orders are curbside delivery. You will be contacted by the freight company via the phone number you provided to us to set up a delivery time. Drivers are unable to enter your home and are not responsible for moving the materials inside the home. Shipping of orders containing 15 boxes and more will be scheduled with a lift gate service. Each box weights approximately 35 lbs, so be prepared and arrange for some help if necessary. Someone must be there to accept the delivery. Whoever accepts the delivery must check the outside of the cartons for proper quantity/damage before signing documents. This is a premium freight service in which you tell us when you want your order to be delivered and we will schedule a date for delivery that's most convenient for you. Once your order is placed, our Freight Team Representative will call you to make an arrangement. You can also call us at 1-800-520-0961. We can also ship to a location in a non-residential area (home businesses do not qualify). There must be a shipping dock or forklift on the property. Furthermore, the business must be open until 5p.m. local time. There is no prior delivery notification for commercial deliveries. You can collect your order from the closest local freight terminal. This is a great option if you live in an area that limits freight carriers or is a rural/city address hard to reach. It does not cover moving the items into your residence. Shipping will be priced the same as for commercial delivery. Contact us to check for the closest terminal location. You are welcome to pick up your order from our Willoughby, OH warehouse located at 3900 Ben Hur Ave, Ste 10 Willoughby, OH 44094. Please call 1-800-520-0961 if you have any further questions regarding location or business hours. All in-store purchases are subject to 7% Lake County Sales Tax.
. Our warehouse is located at 3900 Ben Hur Ave, Ste 10 Willoughby, OH 44094. Please call ahead at 1-800-520-0961 to make arrangements for warehouse pickup. All orders above 5 boxes are categorized as a 'freight shipping' and shipped on a pallet. Shipping fees will be calculated upon checkout. Freight shipments are scheduled for a residential, curbside delivery with a lift gate service. Moving your order inside in NOT included (garage, home, basement etc.). Usually freight orders are expedited within 1- 5 business days from our warehouse with an estimated 1- 10 business days of transit time. Please call us at 1-800-520-0961 to quote shipping cost for above locations. On selected products we offer free residential shipping to 48 US States. Very often there is a minimum purchase required to apply. Orders are shipped as residential, curbside delivery with a lift gate service. Moving your order inside (garage, home, basement etc.) is not included. Smaller orders we ship as a one or more bundles via Fedex , UPS Ground or USPS. Usually orders are expedited within 1- 5 business days after you payment is received, with the transit time ranging from 1- 10 business days. Your order will be dropped off at your doorstep. Signature is not required. Moving your order inside is not included. Please move your items into your home as soon as possible. Refunds will not be given on any materials damaged from rain or weather after shipping. There is no delivery on weekends and holidays. Underlayment is shipped free of charge to 48 US States. Orders will be shipped via Fedex, UPS Ground or USPS. Normally we ship out within 1- 5 business daysafter you payment is received, with the transit time ranging from 1- 10 business days. Your order will be dropped off at your doorstep. Signature is not required. Moving your order inside is not included. There is no delivery on weekends and holidays. Currently we ship to the 48 contiguous US States. Most of the orders is shipped out within 1- 5 business days with an estimated 1- 10 business days of transit time. All delivery dates are estimated, we cannot guarantee that there will not be delays beyond our control. Do not schedule an installation before your order arrives. If you need a guaranteed date of delivery, please let us know so we can make arrangements for you (additional fees will apply).There is no delivery on weekends and holidays. Moldings will ship separate from your flooring via FedEx. Right after shipment, we will email you a confirmation with the name of the freight carrier as well as a tracking number and website where you can track your order. The freight company will contact residential delivery customers when material arrives at the local freight terminal to schedule a delivery date and time. You may also contact the freight carrier in advance to arrange delivery and confirm the time. For terminal pick up orders, we provide the terminal address and contact phone number. Normally, the freight terminal representative will call to notify you once your order has arrived in the terminal to arrange pickup. We encourage our customers to track the delivery status, and when necessary, contact the terminal to arrange pick up. When your order arrives, you must verify your order and sign the shipping documents confirming that everything is received in a good order. If your flooring or underlayment was sourced from another site, they may ship separate. Moldings will always ship separately from your skid. Before you sign delivery driver's paperwork, please inspect the shipment for accuracy and any potential shipping damage that may have occurred. Conduct a thorough visual inspection of the outside of the shipping plate and note all issues, no matter how small, on the driver's delivery receipt. Refunds and replacements cannot be issued without damage confirmation on the delivery receipt. If shipping damage is discovered at the time of delivery, note any issues on the driver's delivery receipt and contact Bestlaminate right away. We've had excellent service from our freight companies in the past and we trust that your delivery will be handled as expertly as possible. If shipping damage is discovered after you have signed for the item in good order, you are responsible for filing an insurance claim with the freight carrier within 24 hours of the shipment's arrival. Feel free to contact us with any questions on how to do this step. ; or email us anytime at support@bestlaminate.com. Please carry your boxes inside as soon as possible. Bestlaminate is no liable for any materials that are damaged from rain or weather from sitting outside after a delivery. , or you can email us anytime at support@bestlaminate.com. STEP 1: Before you sign delivery papers make a note on delivery papers describing in details the damage. Be very specific in your damage details: damaged corners, crashed left side of the skid etc. STEP 3: Call us right away at 1-800-520-0961 or email us at support@bestlaminate.com the same day. We will handle your problem with a great care and replacement or credit will be issued when needed. If a replacement is needed, we will do our best to expedite it as soon as possible. We ship all skid orders fully strapped, cornered and shrink wrapped. All orders leave our warehouse in a good condition, so if you notice the slightest damage, please make a note of it on delivery papers. In rare situations, when a shipment is delivered in the conditions not described above (not strapped, no corners, no shirk wrap or loose boxes), please call us at 1-800-520-0961 before the driver leaves, this way we can decide what actions needs to be taken. If the damage is discovered after the delivery, please contact us as soon as possible for a timely resolution. We allow a 24 hour grace period after delivery to file any additional damage with us. Any damage discovered after delivery will be subject to a claim approval by freight carrier. If shipping damage is discovered after you have signed for the item in good order, you are responsible for filing an insurance claim with the freight carrier within 24 hours of the shipment's arrival. We care about your satisfaction. This is why we will do our best to resolve any problem the best we can. Every customer can count on a great service, prompt communication, and fair resolution. If you receive a product you are dissatisfied with, simply call us toll-free at 1-800-520-0961. One of our customer service representatives will provide you with information about obtaining a refund, repair or exchange for the item under our 30-Day Return Policy, as well as instructions on handling your return. Please have your invoice ready when you call. If you received your order and you are not satisfied with the product, you may exchange or return it within a 30 day period from the date of the purchase. Bestlaminate does not accept returns after 30 Days of Purchase. Returns or exchanges are not permitted on opened boxes or special orders unless the product is defective, a close-out, an odd lot, a final sale, a special deal, a clearance item for any reason, Mohawk moldings or hardwood moldings. Returned product must be unused, in original packaging and have been properly stored. Installed product is considered accepted by Buyer and may not be exchanged or returned for any reason. Shipping and delivery charges are non-refundable. All returns must be pre-approved by Bestlaminate. We will not accept any boxes that were damaged due to weather or improper care post delivery, even waterproof vinyl. To arrange a return or exchange, please call our Customer Service at 1-800-520-0961 or email us. Returned product must be prepared for return per Bestlaminate instructions to avoid potential damage during the transit. Once your return is received back in Bestlaminate warehouse, we will inspect it, and after approval, we will issue a refund. All orders in transit cannot be cancelled and will be treated as a return. Shipping charges are not refundable and you are responsible to ship the product back to us at your own expense. We offer flat fee return shipping rate of $258 for up to one skid returns. Returned product must be unused, in original packaging, and prepared for return per Bestlaminate instructions to avoid potential damage during the transit. The flat rate return fee is only valid within the 48 US States. If you want to return laminate or vinyl moldings, please call us at 800-520-0961. If you are dissatisfied with your purchase due to a shipping error, missing item or damage to due to shipping, and you qualify for a return or exchange under Bestlaminate’s 30-Day Return Policy, please call us at 1-800-520-0961 within three days of receiving the item to report the issue. We will not issue a refund on used, damaged or open box products. Credit or Debit Card: A refund will be by the original form of payment within 3-7 business days. Store Credit or Gift Card Purchases: A refund will be given in the original form of payment. Store credit will need to be used within 90 calendar days. We hope you love what you ordered, but if something isn't right, let us know. We'll exchange your item for something new or refund your money. You can return your products within 30 days from the date of your purchase for a full refund of the purchase price minus shipping cost. Original shipping charges are not refundable and you are responsible to ship the product back to us at your own expense. We offer a flat return shipping rate of $258, limited to up to one skid shipment. If you return more than one skid of flooring, contact us to quote your return shipping cost. If you want to return moldings, please call us at 800-520-0961. The flat rate return fee is valid for 48 US States only. Returned product must be unused, in original packaging, and prepared for return per Bestlaminate instructions to avoid potential damage during the transit. Bestlaminate does not accept returns after 30 Days of Purchase. Returns or exchanges are not permitted on opened boxes, special orders unless product is defective, close-outs, odd lots, final sales, special deals, clearance items, Mohawk moldings and hardwood moldings. Returns will not be accepted on any boxes damaged from weather or rain due to improper storage after shipping. All returns require original invoice. If you have questions, contact Customer Care toll-free at 1-800-520-0961 or by email at support@bestlaminate.com. If you need to file a claim, most manufacturers require to do so through the retailer from whom you purchased the product. Bestlaminate will be happy to assist you with your warranty claim. Most warranties require that a customer contact the authorized dealer to claim to problem and obtain a claim number. In most cases they also require that the customer go to an authorized supplier, specializing in this product, to fulfill the inspection process. To begin a claim, Bestlaminate will request photos of the defect in question along with a description of the quality claim. The manufacturer may also require samples of the complaint (i.e. 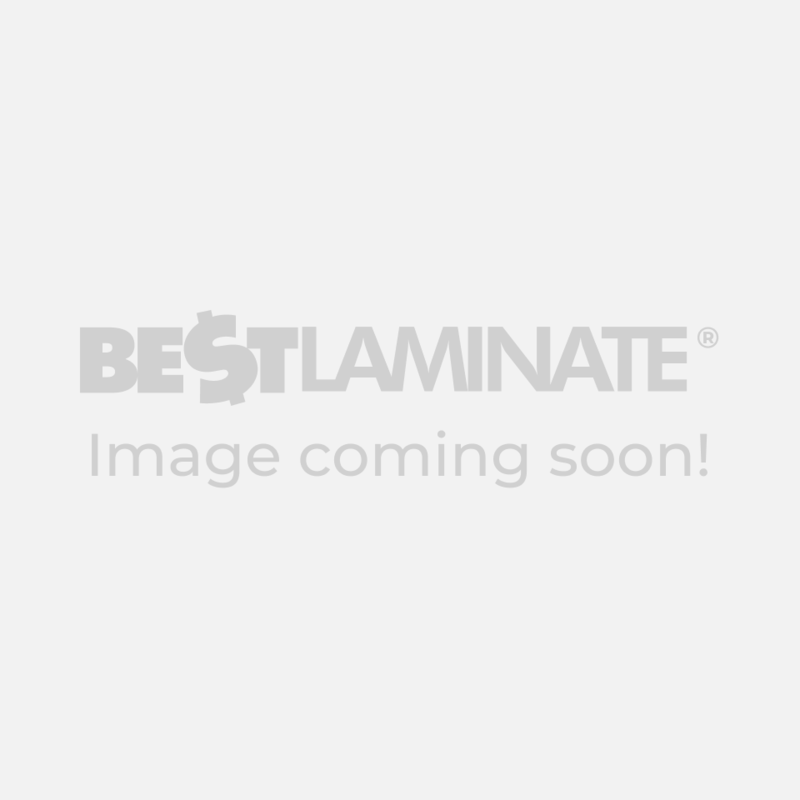 laminate boards in question). The manufacturer may (at their discretion) also send an independent inspector to the installation in order to obtain additional information for the claim. The manufacturer will determine if an independent inspection is necessary and, if so, will order and pay for the independent inspection. In most cases, all of the information regarding your claim will come from your Bestlaminate contact. Based on the manufacturers findings Bestlaminate will honor the manufacturer's request of compliance and/or discount. Other than the applicable manufacturer's warranties, there are no warranties, express or implied, than the one provided by flooring manufacturer. This includes any warranty or merchantability or suitability of the product for a particular purpose, and no other remedies shall be available except those provided by manufacturer's warranty. Under no circumstances will Bestlaminate be responsible for any loss of time, inconvenience, expenses, or other consequential damages caused by or resulting directly or indirectly from a problem about which a claim was made. Buyer releases, waives, and discharges Bestlaminate and its employees for any loss, damage, cost, expense and/or claim and shall indemnify, save and hold harmless same from any loss, injury, damage, cost, expense and/or claim relating to or arising out of loading, securing into or on the vehicle, transport and unloading of product.